Egypt's outgoing agriculture minister Salah Helal was arrested Monday on corruption charges, with the prosecution saying he would be detained pending investigation. The Egyptian cabinet accepted his resignation shortly before his arrest, Al-Ahram Arabic news website reported. The cabinet released a statement saying the "resignation was accepted” upon the request of Egyptian President Abdel-Fattah El-Sisi. 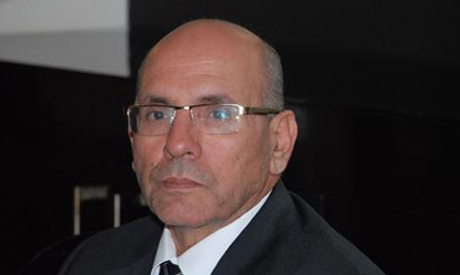 Later on Monday prime minister Ibrahim Mahlab selected the irrigation minister Hossam Moghazi to step in as acting agriculture minister until a new one is permanently appointed. Egypt's prosecution issued a statement naming other defendants involved in Helal's corruption case: former head of his office Mohy El-Din Mohamed and two others, who have all been detained as well. According to the prosecution's statement, Helal is accused of taking bribes from Ayman Mohamed, one of the defendants, in return for smoothing over legal procedures for the latter to own 2500 acres of land in the Natroun Valley. The fourth defendant, Mohamed Mahmoud, is accused of playing the mediator role between both men. Some of the bribes came in the form of a membership of El-Ahly club, worth some LE 140,000, and another LE 8.25 million worth of residential units in Cairo's 6th October City disctrict, according to prosecution. The prosecution did not specify how long the four defendants will be detained. It has also stressed that media must only abide by the prosecution's statements while reporting the case's developments as a media gag order has been imposed in August. Cabinet spokesperson Hossam Kawish said no other resignations from Mahlab's government are expected. Kawish also said that prime minister Mahlab will conduct ministerial meetings after returning from his visit to Tunis on Thursday. Mahlab has been the only premier under El-Sisi, who was elected president in 2014.